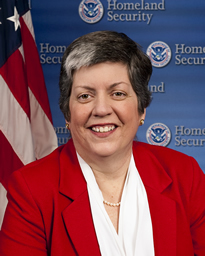 President Obama soon will have to replace Homeland Security Secretary Janet Napolitano after she announced Friday that she’s resigning to head the University of California system, the Washington Post reports. Napolitano plans to resign in September, which gives Obama a little more than a month to find a replacement. The White House gave no indication of a deadline or about who is in the running, The Post reported. The next Homeland Security secretary is important because he or she will be responsible for overhauling the immigration system. Posted: 7/15/13 at 9:31 AM under News Story.